Silky-soft and snuffly-sweet, it's Gordon Guinea Pig! 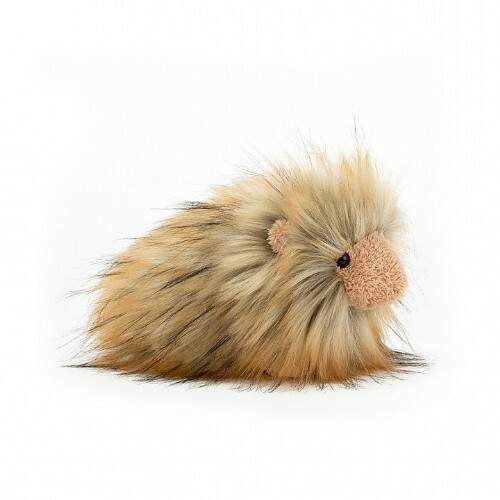 This fluffy fellow has a chunky snoot and butterscotch paws, as well as scrumptious silky fur in creme-brulee ombre. He loves to jump about his pen, and is the regional popcorning champion!